Even the First Lady of the United States of America has been fascinated by the ancient mill transformed into a luxury hotel. The First Lady chose the historic and prestigious Hilton Molino Stucky for her stay in Venice. 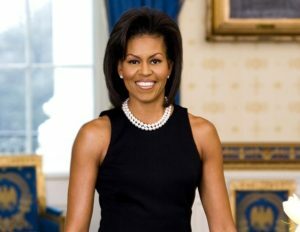 Michelle Obama and her daughters visited the Lagoon during the trip that she organized in Italy to visit the US Pavilion at EXPO Milan 2015, and to know better the country that has become famous around the world for its rich culinary tradition and healthy food. Hilton Molino Stucky overlooks the Giudecca Canal, it is just 5 minutes by boat from Piazza San Marco and 30 minutes from the airport. 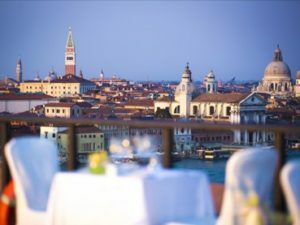 The hotel boasts a beautiful view of Venice and the Lagoon from its panoramic terrace. 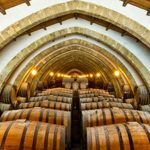 It was built as a huge industrial mill during the late 19th century, and it was later renovated to become an elegant and luxurious 5-star hotel. In addition to its name, Molino (“Mill”), that recalls its origins, the hotel preserves a lot of evidences of its ancient use, both inside and outside. 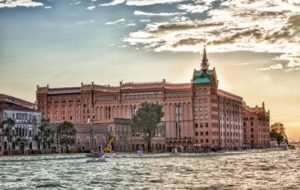 Today Hilton Molino Stucky displays the biggest conference center in Venice, including the great Venetian Ballroom of 1,000 square meters.